The Dolmabahçe Palace (Dolmabahçe Sarayı) was built by order of Sultan Abdülmecid I between 1843 and 1856. Haci Said Ağa was responsible for the control of the construction works, and the project was realized by Armenian architects Garabed Balyan, his son Nigoğos Balyan, and Evanis Kalfa. The construction cost five million Ottoman mecidiye gold coins, the equivalent of 35 tones of gold. The palace has an area of 45.000 m2, and contains 285 rooms, 46 halls, 6 baths, and 68 toilets. Though the palace layout and decoration reflect the increasing influence of European styles during the Tanzimat period, it retains elements of traditional Ottoman palace life, and also features of traditional Turkish homes. The district where the palace is located was referred to as “Beşiktaş”. After the reclamation of this marshland, it was known as Dolmabahçe, which means “filled garden”. This area was part of the imperial gardens for many years. For the first time, a Cirit Summer Palace was built during the reign of Sultan Osman II. Later, the group of wooden buildings, which grew in time with the buildings added by different sultans, was gradually renamed the Besiktaş Coastal Palace. The Dolmabahçe Palace is surrounded by high walls, and comprised of three parts: the Imperial Mabeyn, the Imperial Harem and the Crown Prince Pavilion. The Imperial Harem was combined under a single roof of the main structure with the Grand Ceremonial Hall (Muayede Salon), connecting the two in the center. In the Grand Ceremonial Hall, there is the world’s largest Bohemian crystal chandelier, which was a gift from Queen Victoria: it has 750 lamps and weighs 4.5 tons. The palace is also decorated with beautiful Baccarat Chandeliers, European furniture, European and Far Eastern porcelains and glasses, and Hereke carpets. After Sultan Abdülmecid passed away in 1861, Sultan Abdülaziz succeeded to the sultanate. Dethroned from the Dolmabahçe Palace, Sultan Abdülaziz was succeeded by Murad V, who was also dethroned after three months. He was replaced by Sultan Abdülhamid (1876-1909), who resided here for seven months before he decided to have the more secure Yıldız Palace built. Thus the Ottoman Administration moved to Yıldız Palace in 1877, and resided there until 1909. The Dolmabahçe and Yıldız Palace were utilized reciprocally by Sultan Mehmed Reşad (Mehmed V) and Sultan Mehmed VI Vahdeddin as administrative centers, until the sultanate was abolished in 1922. Abülmecid Efendi stayed at the Dolmabahçe Palace not as a sultan but only as a caliph until the Caliphate was abolished in 1924. After the declaration of the Republic, all property of the Ottoman dynasty, including the Dolmabahçe Palace, was transferred to the citizens of Turkey. With the decision taken by the Board of Ministers in 1925, Dolmabahçe Palace was given to the National Palaces Management, which was put under the administration of the Turkish Grand National Assembly (TBMM) in 1933. Deniz Esemenli, Osmanlı Sarayı ve Dolmabahçe, Istanbul: Homer bookstore, 2002. Dolmabahçe Palace, Istanbul: TBMM Milli Saraylar, 2006. Boğaziçindeki Mücevher Dolmabahçe Sarayı / The Jewel on the Bosphorus Dolmabahçe Palace, Istanbul: TBMM Milli Saraylar, 2006. 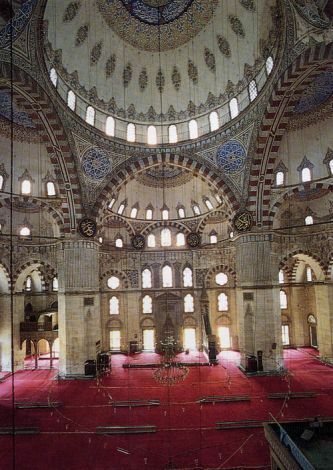 Önder Küçükerman, One Empire Two Palaces, Istanbul: Yapı Kredi Publications, 2007.